A century on from the decade when Ireland began the final struggle to gain independance from Britsh rule, a visitor to Dublin will see memorials, museums, experiences and physical reminders of events that have shaped the Ireland of today. Whatever your take on this chapter of British and Irish history, it’s a rewarding experience to breathe in the history and come to your own conclusions. The events from 1916 through to independance are marked throughout the city – the civil war not so much, but we are still a few years from this centenary. 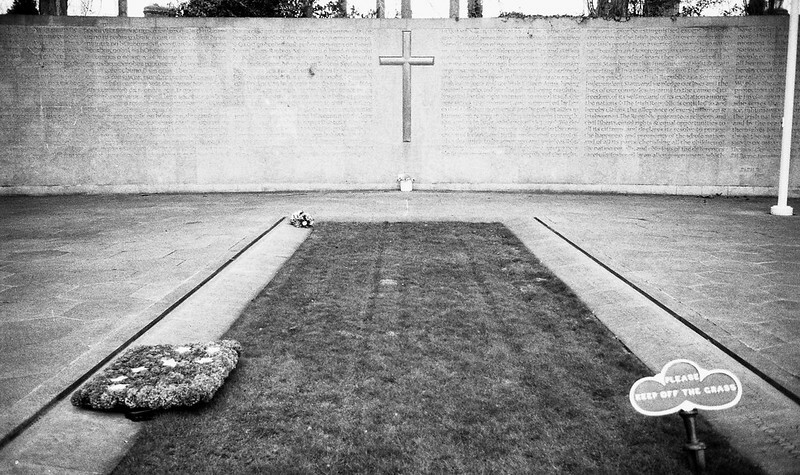 A good starting point is the Arbour Hill cemetery. 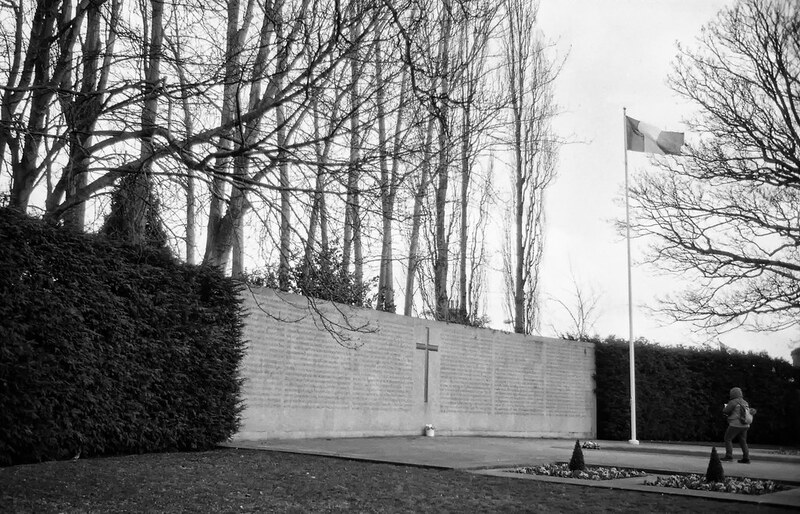 A former British military cemetery, it’s also the burial place of 14 of the executed leaders of the 1916 Easter Rising, you can get the history on sites like Heritage Ireland. 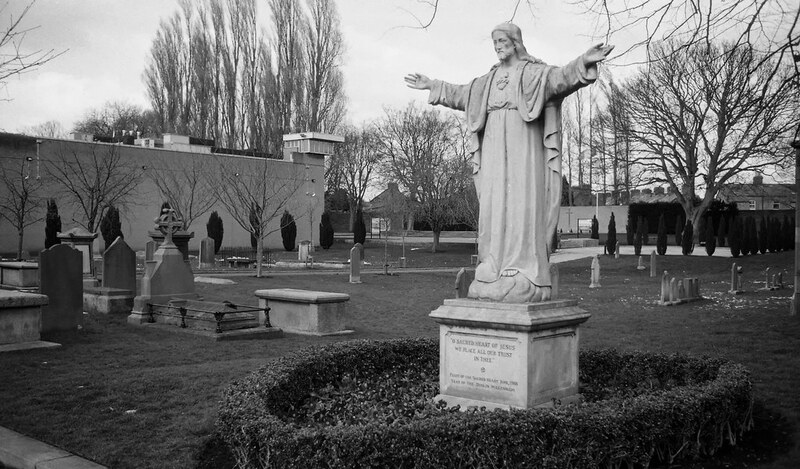 While the likes of Kilmainham Gaol, the cemetery at Glasnevin and the GPO Museum are always busy with fully booked guided tours, Arbour Hill is usually deserted. There’s no entrance fee, no guides (except an occasional free talk at the weekend) and no shop. Once you pass the church you’re into a fairly staid and unremarkable military cemetery. Then towards the back, there’s the reason Arbour Hill gets visitors. 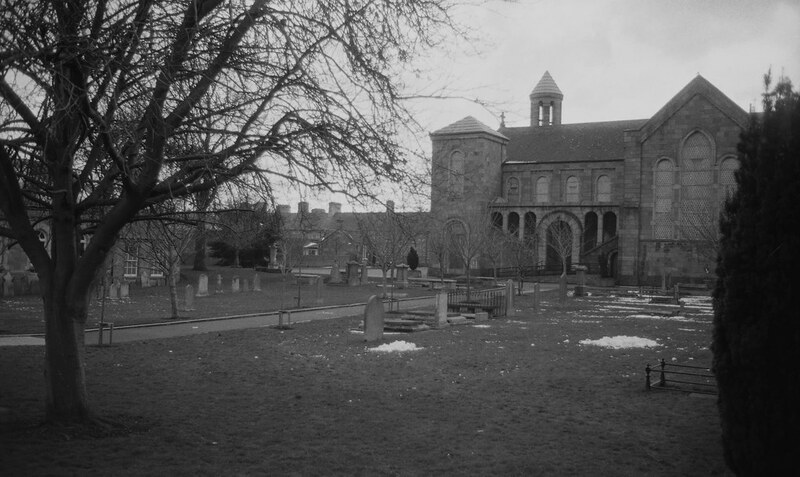 The executed leaders of the Rising were unceremoniously buried at a British military cemetery seemingly to avoid the martyrdom and pilgrimages that might stoke further unrest. 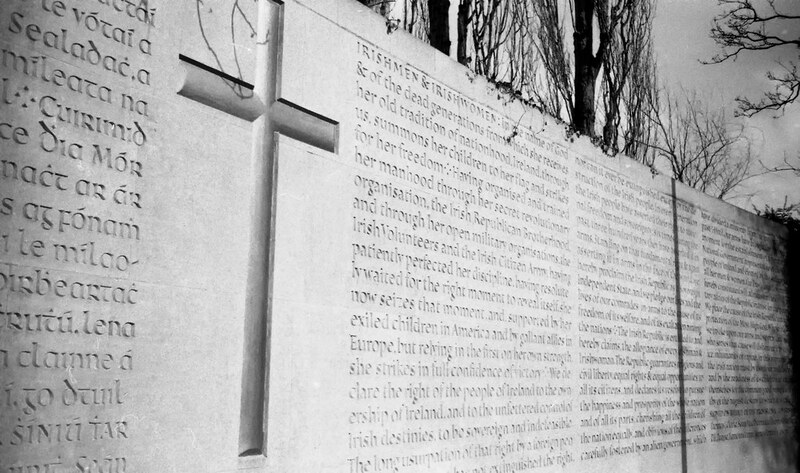 History of course had other plans for Ireland, and naturally subsequent Irish governments have developed the grave as a remembrance site. 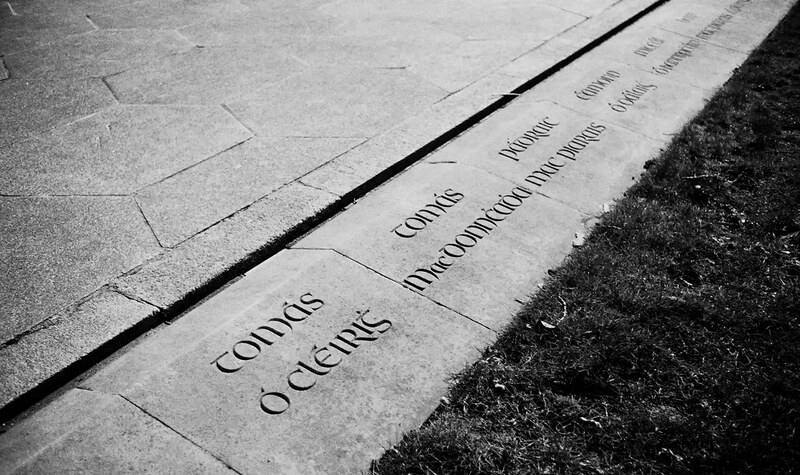 Surrounding the grave site are stones inscribed with the names of those buried – in English and Irish script. 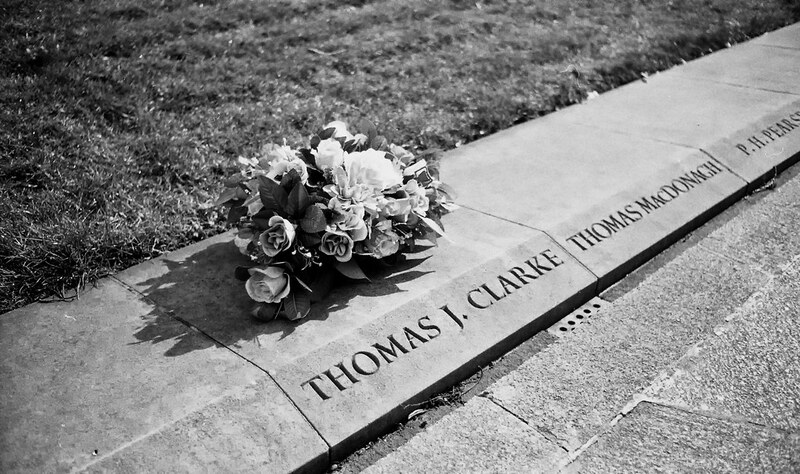 Thomas Clarke, the old man of the Rising, had a floral tribute marking his stone. 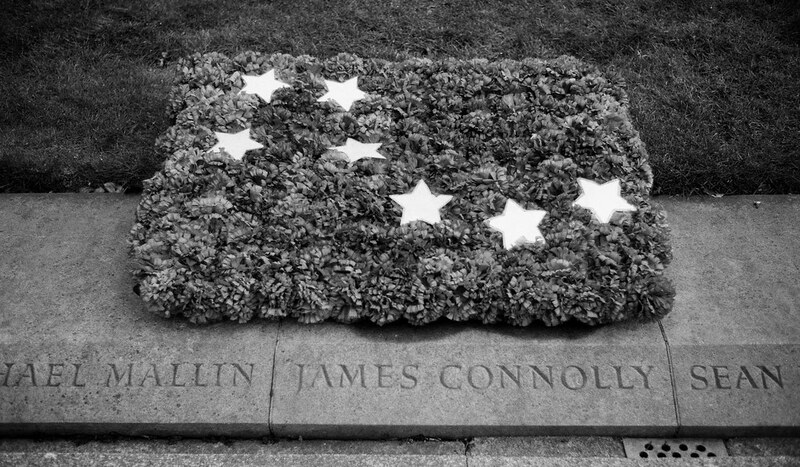 One of the more fascinating characters of the Rising was James Connolly, a Scot of Irish descent, a former Britsh soldier, trade unionist and leader of the Irish Citizen Army. Arbour Hill is located a bit away from Dublin’s main tourist sites, on a quiet street at the rear of the Collins Barracks Museum. It is however worth a visit if you’re doing some revolution tourism – a site of great signifigance in Irish history and you’ve plenty of further options for the tourguides, multimedia displays and souvenir shops. 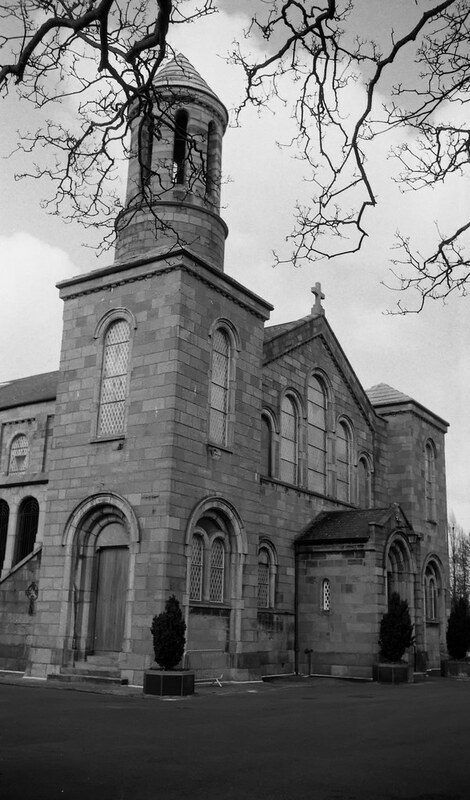 Photos were taken on a robust (heavy) Hanimex 35SL (a rebadged Chinon CS) a Pallas 35mm lens (never heard of them) using Lomography Earl Grey 100 film.